Investing in real estate requires an understanding of financing as well as tax implications. In fact, real estate investment is more than collecting the rent every month from your tenant, because it involves different types of investment including residential (houses, apartment buildings, townhouses, and vacation houses), commercial (office buildings) and industrial (storage units, car washes and other special purpose real estate) as well as REITs, i.e. the securities that invest in real estate directly through trading on the major stock exchanges. Real estate investment cannot turn you into a millionaire overnight, but it can provide you with a steady income provided you apply a long-term investment strategy that meets your investment goals. There are a number of different strategies that can help you approach the real estate business. However, you need to select your real estate niche (residential, commercial or industrial) and apply the proper investment strategy in order to profit from it. Investing in the right type of property when you make your first real estate investment is very important. Most people focus on residential properties because this type of investment is easier to understand, purchase and deal with its specifics, especially if you are not an experienced investor. Among residential property options, people prefer mostly small apartment buildings and single-family properties due to lower maintenance costs. Nevertheless, if you are a homeowner, you know how to set the proper criteria for locating, purchasing and maintaining residential property and appropriately guide your investment decision making. Alternatively, if you decide to build and then invest in the new-built property, you should find a reliable builder, who will work on a fixed contract for at least 6 months. The local shire will approve your building plans, and the building inspector will verify that the property will be built according to specifications. The builder is responsible for completing each stage of the building process on time and the bank pays the builder upon phase completion. Typically, the best financing terms require a 25% minimum down payment to guarantee a lower interest rate, loan fees and mortgage insurance. Although you have the option to make a 10% down payment, you face the risk of higher interest rate, loan fees and mortgage insurance. The goal is to leverage the loan to cover the acquisition costs so that you get a higher rate of return on your investment. On the other hand, make sure not to use extreme leverage because if the real estate market changes, your debt expenses may skyrocket. 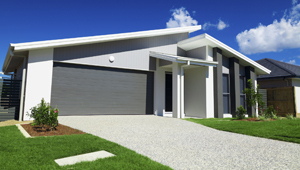 According to the Australian Taxation Office, immediate tax deductions apply for the cost of land to build a rental property, for the cost of a rental property and for the cost of any depreciating asset that will be used in the property. Also, any home improvements fall under immediate tax deduction. The cost of building and the cost of maintenance and structural improvements are claimed as capital works deduction over a number of years. Loan fees, stamp duty on the mortgage and title search fees are also claimed either immediately if they are up to $100, or over a period of five years or over the term of the loan, whichever has a shorter maturity. Real estate investment requires a good understanding of proper timing, which means when to enter the market, but more importantly when to exit. Whether you rent, sell or exchange your property, it is vital to have a clear understanding of when is in your best interest to exit. Make sure to investigate all possible exit strategies and select the most suitable one that matches your investment goals in order to minimize your risk as much as possible. In conclusion, real estate is a highly illiquid investment that can give you a fair return provided you invest in positive cash-flow properties. Do your homework, research the market, apply the proper investment strategy and you will be able to manage the best real estate investments!